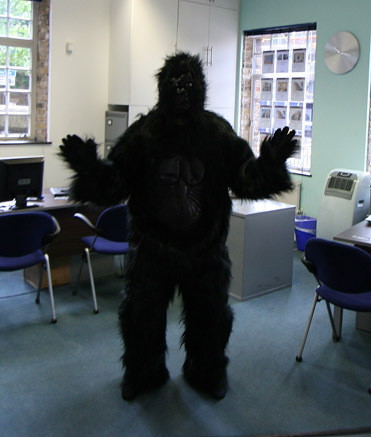 I’m running 7k in a Gorilla suit at the end of September to raise money for extremely poor people so they can have a better quality of life without having to impede on the natural habitat of the Gorilla, whose numbers are dwindling (they are an endangered species). Always knew you were a bit ape. Is this the new marketing method to sell property? You can’t fool me – that’s Bigfoot!